Magnus Chase didn’t plan on dying while fighting an evil fire giant on the morning of his sixteenth birthday, but unfortunately that’s what happened. Magnus has been homeless in the city of Boston after the strange, awful death of his mother. When his Uncle Randolph seeks him out and tells him all about his Norse father and a sword only Magnus can retrieve, Magnus doesn’t know what to think. Before he can even process what’s happened, Magnus dies trying to take out Surt, the fire giant, so he doesn’t kill all the people of Boston. Samirah Al-Abbas, a Valkyrie, was watching Magnus as he perished, and because he died an honorable death, she brought him to Valhalla, an alternative afterlife for those who bravely died doing something righteous. At Valhalla, the Norns themselves come to determine Magnus’s fate, which isn’t a good sign. They give Magnus a prophecy that says he must find the Sword of Summer, which he was separated from when he died, so he can stop Surt from hastening Ragnarok, the Doomsday where he will burn the Nine Worlds. If Magnus succeeds, Ragnorok could be postponed for a considerable amount of time. If he fails, Doomsday could happen the following week. Will Magnus prevail? You must read on to find out! This was another great book from Rick Riordan that I really enjoyed reading. I didn’t know much about Norse mythology before I read this book, so it was cool and fun learning about all the new gods and myths. This book is funny, interesting, and I definitely recommend it! The Sword of Summer by Rick Riordan is available for checkout from the Mission Viejo Library. Posted on January 26, 2018 by Megan V.
For fans of Rick Riordan, as I have been for the past 7 or 8 years, welcome to the last installment of his Norse mythology series: The Ship of the Dead. At first, I was very surprised that this series was a trilogy, but then again, the Kane Chronicles were also a trilogy, so the five book per series might be only for anything involving Percy Jackson as a main character. Nonetheless, it is still a great sequel to the next chapter of the mythology series. Speaking of Percy Jackson, we see him again in the first chapter as he teaches Magnus some tricks while at sea. Aside from the story, we get to see Percy and Annabeth as regular teenagers going to college, and Magnus realizes that if he doesn’t stop Ragnarok, they won’t get the happy ending they deserve, which is a huge eye opener when we had always seen Percy and Annabeth being the ones shouldering the burden. Additionally, we have the regular humor, such as with chapter titles like “I inherit a dead wolf and some underwear” and of course situational humor from Magnus himself. Additionally, each of the characters get their own backstory, development, and ending fit for them. We learn how Mallory and TJ die, each of them receiving their own development, and even a hope for the future- such as even though Mallory and Halfborn may break up once every decade, they still love each other. Each character also teaches a lesson that is not only reflecting of Norse mythology, but also is different and unique compared to regular heroic events (a symbol that I see as part of Riordan’s growth as an author)- Hearthstone teaches us that anger is not always the way to win, Mallory shows that heroes are not always good, Magnus wins with a battle of wits rather than brawn. Additionally, there are some events that although hilarious and frustrating, symbolize the true nature of the gods, and Riordan was clever enough to depict it. Most importantly, there is a relationship that is revolutionary just as Nico and Will’s was, but I feel more in great development and satisfying. However, I do have to wonder about Magnus’s newfound power, as I don’t believed it was ever explained, but there is hope for the future. I have never read the Apollo Trials, as I’ve been putting it to the side as I never really liked Apollo (who did?) but there are many sinister hints of the future of that series, and it may come that Magnus and the others may appear in that series, although we have never seen the Kane siblings in a very long time. Overall, I really enjoyed every moment and cannot wait for the future of the series! Magnus Chase and the Ship of the Dead is available for checkout at the Mission Viejo Library. It can also be downloaded for free from Overdrive and Hoopla. Posted on September 25, 2017 by Elina T.
Sodapop Curtis from The Outsiders: After I finished reading the book (The Outsiders), I was absolutely obsessed with it! I loved all the characters very much, but Soda is, by far, my favorite. He’s kind, funny, friendly, and most importantly, he’s a good brother. He protects and stands up for Ponyboy, and does everything he can to help Darry to pay the bills. Fred Weasley from Harry Potter: (*Spoilers!) Don’t ask me why it’s Fred and not George cause I have no idea why. I do love George too, but for some reason, while I was reading the series for the first time, I decided that Fred was my favorite character. Mind you, I had decided this before I had finished the series, so I was completely heartbroken when he died in the seventh book, as I’m sure everyone was. I just love the twin’s constant bantering and jokes. Despite the fact that I’ve read the series a million times, they never fail to make me laugh. Percy Jackson from Percy Jackson and the Olympians and Percy Jackson and the Heroes of Olympus: I think it’s safe to say that this is the only series wherein my favorite character is the main character! I love Percy so much! In a way, I grew up with him as I read the books, and I think that really helped me grow to love him even more. Percy is so endearingly humorous, likable, and just… a fun guy! Even though he’s a very powerful demigod and his father is Poseidon, he acts, for the most part, like a normal teenaged guy. Newt from The Maze Runner: (*Spoilers!) A Glader, and second-in-command to Alby, Newt is kind yet firm, and grows to be a good and loyal friend to Thomas. Perhaps not as fiery as Minho, Newt brings a more leveled personality to the story and is a very prominent character whom I grew to love and care about while reading the series. I was devastated when Janson (a.k.a. the Rat Man) read out the list of munies and Newt was not on it. It was very sad to see him lose his sanity, but I think he did contribute a lot to the team, and was sorely missed. Azriel from A Court of Thorns and Roses: Quiet, dark, brooding, and mysterious, he doesn’t talk much, but when he does speak up, everyone pays attention because they know that whatever he has to say is important and significant. He’s an Illyrian warrior! Skilled in combat, he would make a deadly enemy. But he also has a sweet and gentle side. He’s very caring and respectful and enjoys having a laugh with his brother, Cassian, once in a while. Posted on August 25, 2017 by Elina T.
The most modest, kind-hearted, expert haiku poet of a god- yes, I am talking about the one and only Apollo! Honestly, who doesn’t love him? Well it looks as if Zeus isn’t particularly fond of him- because, well you probably wouldn’t throw someone you’re fond of off of Olympus and strip them of their godly powers. Although this is a new series, it’s also, in a way, a continuation of Percy Jackson and the Heroes of Olympus. It’s set in the same world, and some questions that were left unanswered in The Blood of Olympus (the last book in The Heroes of Olympus series) are finally explained. I won’t specify which ones so as not to spoil anything, but I will say that I was very happy that I finally found out what happened (I died after I read The Blood of Olympus because I didn’t think there would be any more books). Additionally, some characters from The Heroes of Olympus series are represented in this book, so I was also happy about that. But of course, new and lovable (and some not so lovable) characters are introduced in this series. I was absolutely ecstatic when I heard that this book was coming out and was not, in any way whatsoever, disappointed when I was finally able to read it. 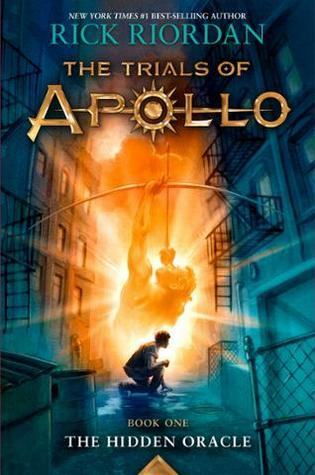 Apollo has always been one of my favorite gods but, after reading this book, I can confidently say that he is my favorite. I love how Rick Riordan portrays Apollo and brings out so much personality and humor. The book is narrated by Apollo, and it really feels like it’s the god narrating because of the language Rick uses in this book. Apollo is very eloquent (most of the time), and speaks in a different manner than we do today in modern society. Greek and Roman mythology has always interested me, and so has the history from these cultures, as the two are so closely related. I really admire how much historical content Rick is able to weave in to the story, along with the mythological and fictional aspects. If you’ve read The Heroes of Olympus series, I definitely recommend this book (the second one is also out: The Dark Prophecy). Although, if you haven’t finished that series yet, I’d wait until you finish reading it because this book will probably spoil something. This is definitely one of my favorite series, and I can’t wait until the third one comes out! The Hidden Oracle by Rick Riordan is available for checkout from the Mission Viejo Library. Posted on June 13, 2017 by Ava G.
Rick Riordan was definitely one of my favorite authors. He is the writer of the Percy Jackson series, the Heroes of Olympus series, the Kane Chronicles, and the Magnus Chase series. Riordan’s books take ancient mythology and weave it into modern-day stories of adventures. The Percy Jackson series, which was his first series, revolves around a boy named Percy Jackson who learns that he is a demigod — a son of Poseidon. You follow Percy and his friends, Annabeth and Grover, as well as others, in adventures while learning about Greek Mythology. Placed in a world where Greek Mythology is fact, Riordan does a fabulous job writing this series. When you start reading, you aren’t going to want to put the book down. I think that this is one of the best series of books he has written. The Heroes Of Olympus series is, in a way, a continuation of the Percy Jackson series. However, it adds new characters and involves both Greek and Roman mythology. This series was just as great as the Percy Jackson series and had me intrigued till the end. The Kane Chronicles revolves around Egyptian Mythology and a brother and sister, Carter and Sadie. Though, out of all the series’ Rick Riordan has written, this is my least favorite, but it is still good. To me, it was just not quite as captivating as some of his other pieces of writing. I would still recommend reading it, though, because it still a really good story. 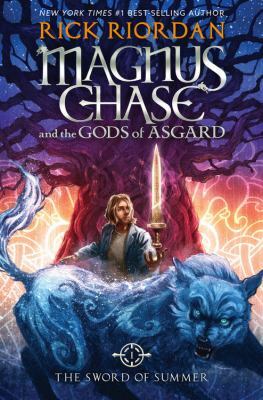 The Magnus Chase series is about a boy named Magnus Chase and Norse Mythology. It is a really cool series, especially because you get to learn a little bit about Norse Mythology — something that you really won’t know much about other than the fact that Thor and Loki are Norse Gods. All of Riordan’s writings are a great way to not only get lost in a book, but to learn about ancient mythology in a new and exciting way. All of his books are pretty easy to read, but they can entertain you for hours. Overall, he is just a fabulous writer and I would recommend any of his books. Posted on April 14, 2017 by Megan V.
Rick Riordan has done it again: with the second installment of his retelling of Norse mythology, he brings out the laughs and slightly more mature elements that add the modern world to the books. All in all, these elements add to a tale that is fun to enjoy and interesting to read once again. First, the laughs. We see Thor again, with more arrogance and goats. We get more sass from Jack, and Sam hilariously trying to find her way through her to be marriage and her Valkyrie job. There are many new characters and Riordan rewrites old legends in his way, including one where Thor had to wear a dress. Finally, for the mature elements, we have to remember that usually, these books are meant for 8-12 year olds. However, with his more recent books, Riordan has tapped into the LGBTQ community, like when he revealed in Percy Jackson: Heroes of Olympus series that Nico was gay and the introduction of a (literal) gender-fluid kid named Alex. While this stuff may be mature for some people of this age group, I am quite happy that the author is bringing them up front, especially as loved main characters, and not putting them on the back burner like most YA authors of this time would. 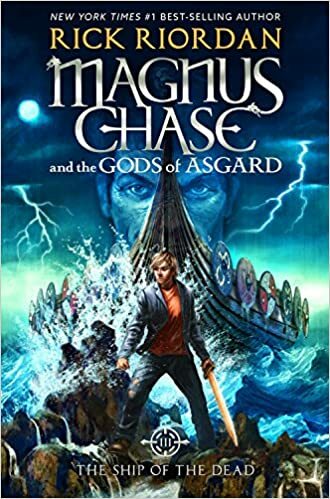 All in all, it was a worthwhile sequel for this series, and even a wonderful book for those new to the Riordan fandom, even if not many have heard of the legends of Norse mythology. 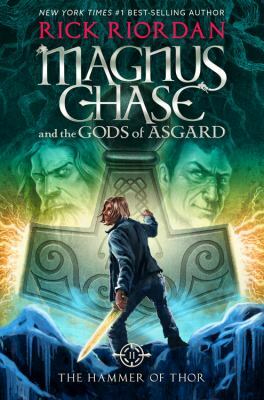 Magnus Chase and the Hammer of Thor by Rick Riordan is available for checkout from the Mission Viejo Library. It is also available to download from Overdrive and Hoopla. Posted on July 6, 2016 by Nicole G.
After the battle with Gaea, Zeus put all the blame on Apollo. Why, you might ask? Because Gaea duped Octavian, a half-blood son of Apollo, and Zeus’ logic dictates Apollo should be punished by casting him out of Olympus and turning him into a teenage boy with acne. For the sun god, there is no worse punishment. One of the primary characteristics of Apollo is his constant need to complain. Which, in the first few chapters in understandable. He has lost everything that defined him. His godly powers are pretty nonexistent. He is entirely mortal, even weaker than his demigod descendants. Eating ambrosia or drinking nectar won’t help him ease his pain. It’s rough for the sun god to no longer be the center of attention. It does get annoying at times, but I think it will work in showcasing Apollo’s growth over the series. Just like Magnus Chase had cameos from his cousin Annabeth Chase, the Apollo Trials has cameos from Percy Jackson. Plus, learn about what all the rest of the half-blood gang through dialogue! Most of them are in college or preparing to do so. Even the storyline with a certain boy-who-lights-himself-on-fire’s storyline gets continued. It lets other characters like Will and Nico and other new friends get a chance to shine. The best new face brought to this story is Meg. Don’t even think about calling her Margaret. She lives off the streets of New York and is one of the first demigods Apollo encounters. She’s a tough twelve-year-old but still is pretty naive. She’s unaware of what happened in the previous books, as would readers who haven’t finished The Blood of Olympus. There are some pretty major spoilers in this book about that one. As for her godly parent … I always find it fun to try to figure that part. But as a hint, it’s a god or goddess we haven’t heard much about. Meg has claimed Apollo to her service, the person he has to serve to prove to Zeus he’s learned his lesson. But Zeus has turned Apollo mortal twice before. Hopefully, his third strike doesn’t mean Apollo has struck out. 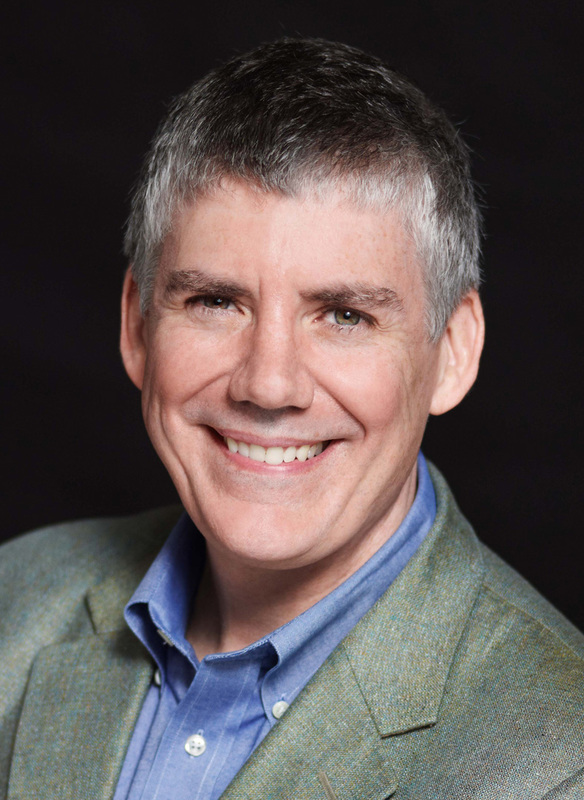 Filled with the great humor we have come to expect from Rick Riordan as well as hilarious haikus to open each chapter. Back at camp, everything isn’t going great. The oracle isn’t giving prophecies which makes it impossible to go on a quest to figure out why the oracle isn’t giving out prophecies. Communication isn’t working, campers are going missing, and no one knows what to do. It’s up to Apollo, Meg, and their friends to uncover and stop a conspiracy to rid the world of Olympians once and for all. The Hidden Oracle, the first book in the new Trials of Apollo series, is available for check out from the Mission Viejo Library.